You just posted your latest piece of content and shared across your social networks. You even got a few “likes” and “tweets.” But you want more. You want to create content that people engage with in a meaningful way. 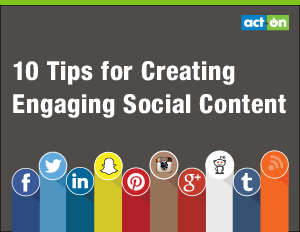 Learn 10 tips for creating engaging social content.